You love your Metro Atlanta home. You’ve spent years making it warm and inviting, and every corner is filled with beautiful memories of golden, happy days. It has become part of you. But the years have gone by, and with the passage of time some things may have changed. Perhaps it has been your recent experience that increasing mobility challenges have made it necessary to keep to one floor of your home, restricting your access and not allowing you to enjoy the other levels of your home. Does this really have to be the end of your independence and mobility? Definitely not. 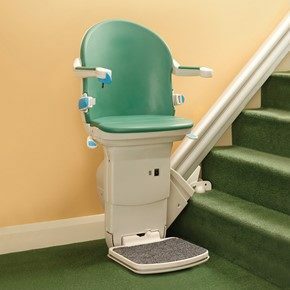 For Metro Atlanta homes that have straight staircases with 90 degree turns and a landing, irregularly placed steps, or spiral stairs, a curved stair lift can change everything for the better for someone who has had their independence and mobility compromised by an illness, surgery, or disability. 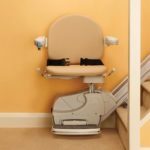 Why should you consider buying a curved stair lift? 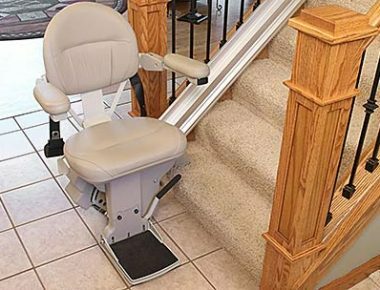 A stair lift is safe – No one with mobility challenges wants to be in a potentially hazardous position, especially in their own home. 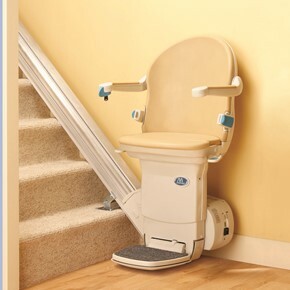 A stair lift is designed to transport you smoothly and effortlessly from one floor to the next safely. 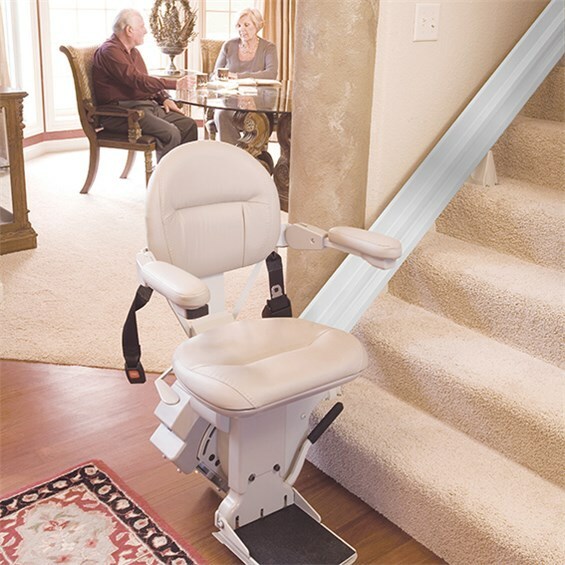 Aside from the expected inclusion of a seat belt, extra safety accessories can be added to the stair lift, such as a swivel seat for easy mounting and dismounting, sensors that detect obstructions along the track, and visual displays to show the lift’s current functioning status. A stair lift is reliable – Many stair lifts now operate on self-rechargeable batteries as opposed to electricity. This means that the lift is able to be used even in emergency situations where the power has gone out. This also ensures there are no surprise stops mid-transit due to electrical problems. A stair lift is comfortable – Practicality is wonderful in and of itself, but when it can be combined with comfort, practicality becomes exceptional. Amply cushioned seating makes the ride up or down the stairs an enjoyable experience. A curved stair lift is custom built – There are no worries that your need for mobility is going to compromise the beauty or integrity of your home. A state-certified Georgia stair lift technician will precisely measure your staircase and its turns, and custom fit your curved stair lift to your particular situation. 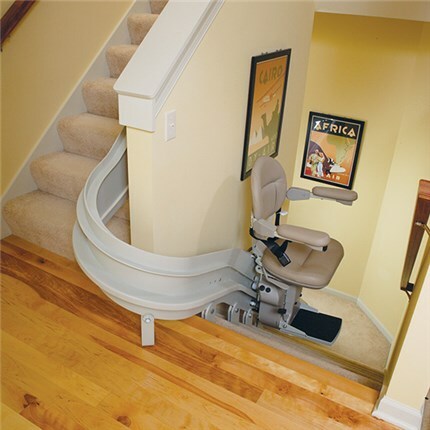 Your stair lift technician will install the curved stair lift with a level of care and proficiency that has your satisfaction and safety in mind. 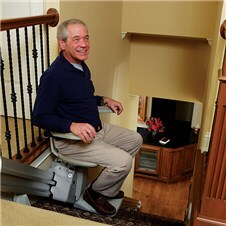 The Bruno Elite Indoor Curved stair lift may be the best solution for mobility challenged homeowners in Metro Atlanta. This model is extremely popular, comfortable, and easy to use. It comes with a Bruno Gold warranty — five year major components; two-year parts — and typically can be installed in one day. And, its performance is backed by Bruno’s reputation for consistent quality, efficiency and affordability. Call Stair Lifts Atlanta at 770.880.3405 or send us an email now using the contact form to the right to request a free in-home consultation. 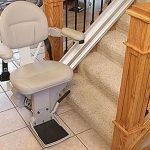 See if a curved stair lift is just what you need to help you regain the independence and mobility that you thought was gone forever! Do you need other home accessibility options such as roll-in showers, walk-in tubs or roll-under sinks? Contact us today for more information at 770.880.3405, or submit your information in the contact form below, and we will call you. This entry was posted in Atlanta Stair Lifts, Bruno Stairlifts, Curved Stair Lifts, Stair Lift Blog and tagged Atlanta accessibility and disability equipment company, Bruno Stairlifts, Certified State of Georgia Stairlift installer, Curved Stair Lift, Stair Lift Installation Atlanta. Bookmark the permalink.